This is the fifth and final installment of my posts detailing my Corsica & Provence trip this summer. 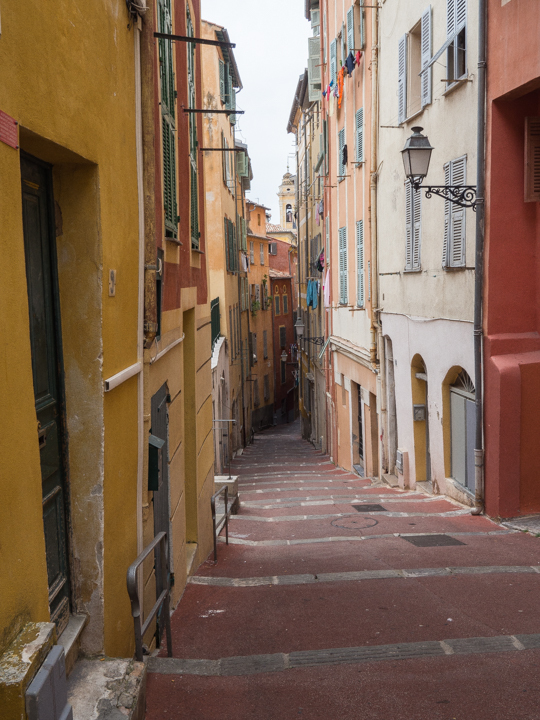 A quick recap: we started in Bonifacio (Southern Corsica), then spent a few nights in the mountains of central Corsica, then three nights in Bastia (Northern Corsica). Next, we took the ferry from Bastia to Nice and spent a couple of nights in Saint-Paul de Vence and the Gorges of Verdon. 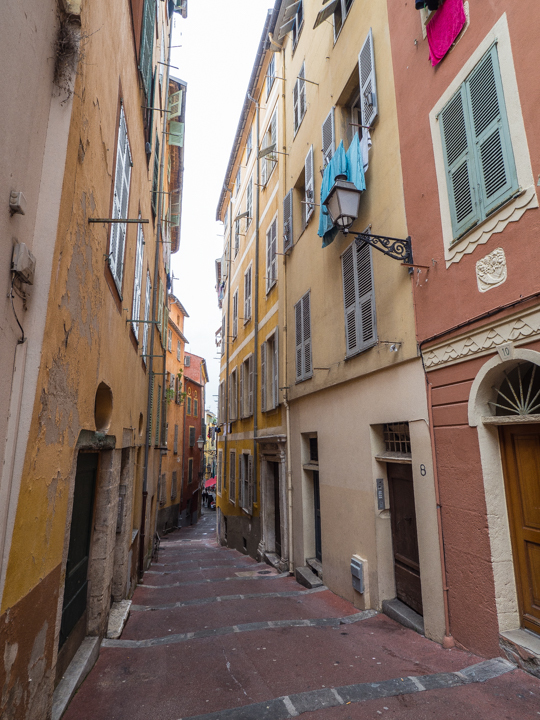 The morning after our stay at Bastide du Calalou, we drove back to Nice, explored the old town of Nice and had lunch there before dropping off the car and taking the train (just 5 minutes) to Villefranche-sur-mer. We chose to stay in Villefranche and not Nice because it’s smaller and more relaxing but also because in 2007, I went to a fantastic intensive 4-week French language course at the Institut de Français in Villefranche that I would very highly recommend, so I was happy to go back and visit. 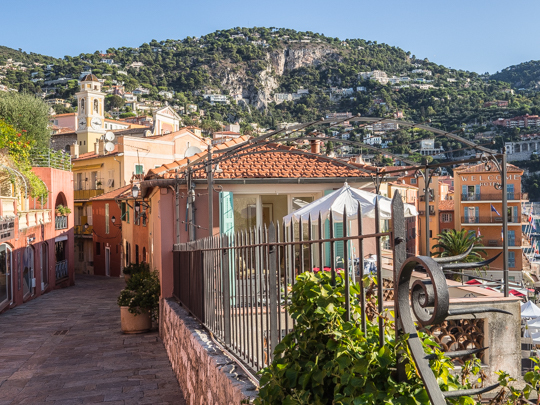 Villefranche also makes for a very central and convenient location from which to explore the rest of the Côte d’Azur. Out first afternoon/evening in Villefranche, we walked around the old town and explored a bit. We had a nice dinner on rue du Poilu, one of the main drags. Many years ago, I had also spent a month in Sanremo, one of the first towns over the Italian border. So I was excited to get back and visit. Plus who wouldn’t take the opportunity to eat lunch in Italy when it’s that close? 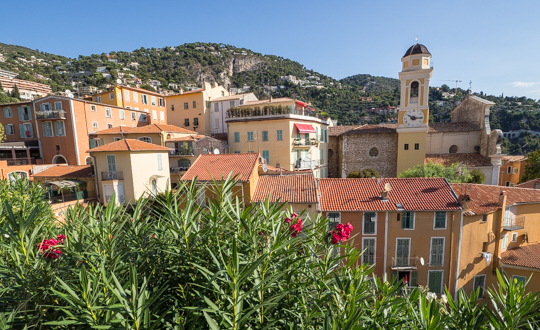 To get to Sanremo, the only annoyance is that you have to buy a ticket from Villefranche to Ventimiglia, the first town in Italy, then get off the train and buy a new ticket from Ventimiglia to Sanremo. 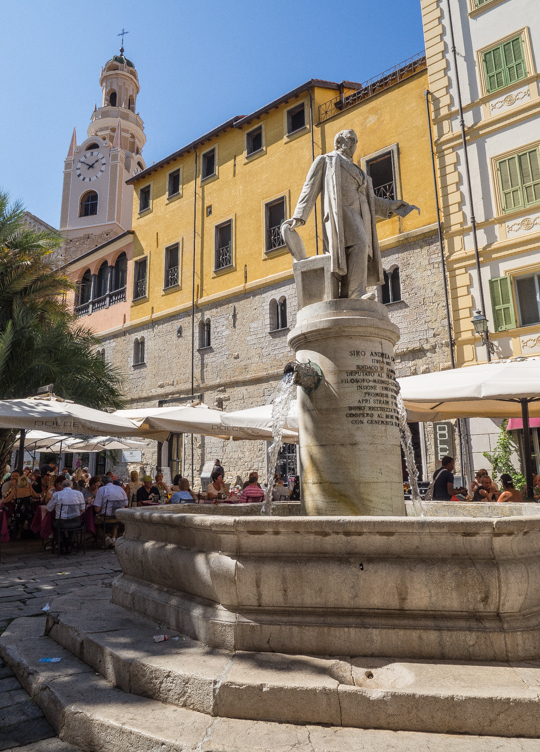 At least on the way back, you have bought round-trip tickets and you have the schedule already (be sure to ask for it in Ventimiglia) and you can time the connection better. 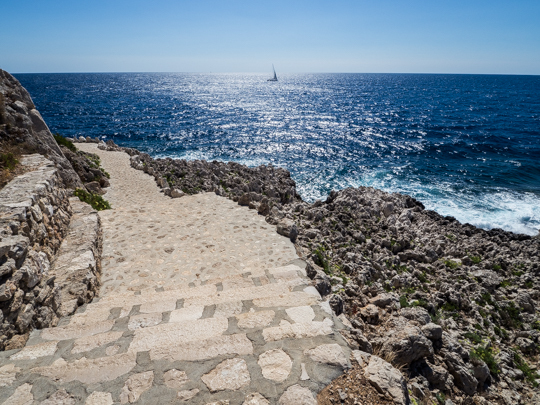 Sanremo has a great promenade and old town to explore (at least if you’re keen on stairs). It also has a section with huge villas, a bunch of pedestrian shopping streets and a uniquely decorated Russian Orthodox church. There’s plenty to see (and eat) and it makes for a great day trip. We decided to stop off in Monaco on the way back on the train. I’m not a huge fan of Monaco though; we didn’t stay long. 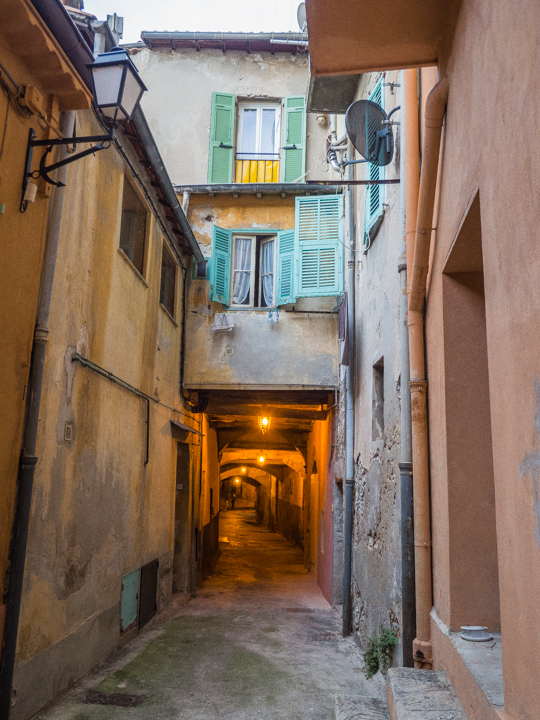 We returned to Villefranche for dinner that night and ate at Le Serre, a great option for a cheaper dinner (the prix fixe is an especially good value) in the heart of the old town. There are plenty of outdoor tables and while you don’t get a view of the ocean, you get the feeling of being in the old town. 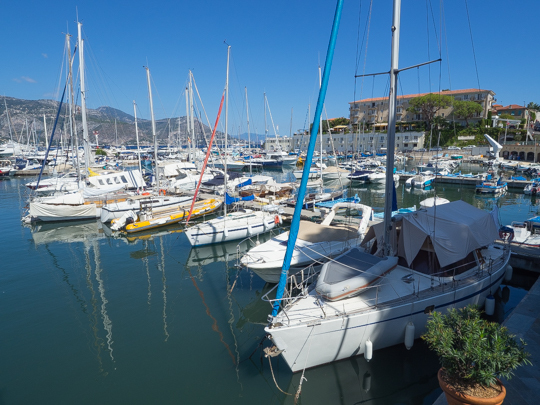 Perhaps my very favorite thing to do on the Côte d’Azur is to hike from Villefranche, along Villefranche’s beach, to Beaulieu then along the coastal path of the Cap Ferrat peninsula, with a stop off in the port of Saint-Jean for lunch. The scenery is spectacular and there are places to swim all along the way. 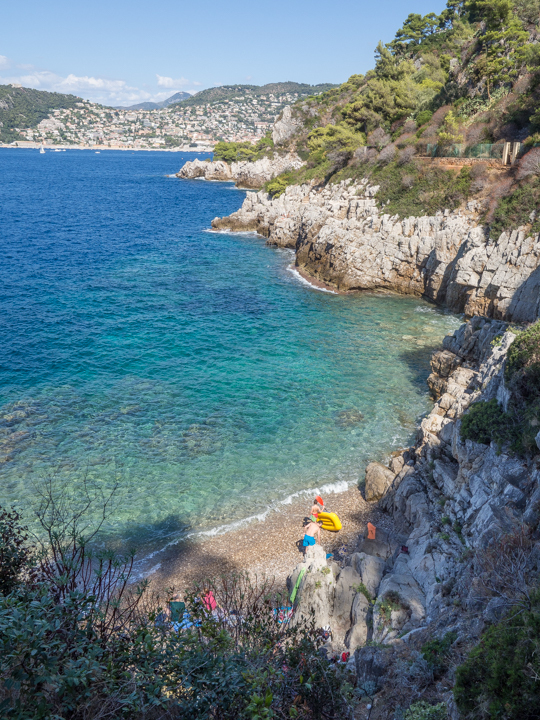 Depending on your timing, you can also eat at the first beach on the Villefranche side of the peninsula if you don’t want to wait until the port of Saint-Jean. 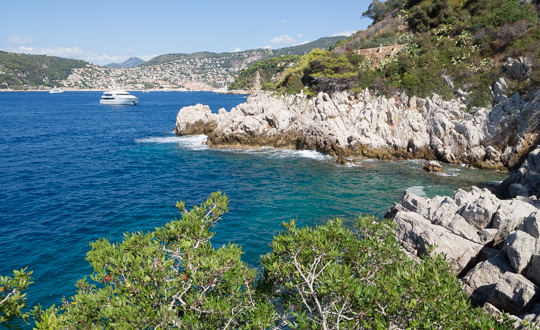 Be sure not to miss the smaller peninsula off Cap Ferrat as well. Bring your swimsuit and plan on spending all day, taking your time. The last night in Villefranche, we had dinner at the Oursin Bleu. It’s a bit of a splurge but well worth it for fantastic seafood and other fare. Our last morning, we had breakfast at the hotel then took an Uber to the airport in Nice. The airport is small and easy to get around. 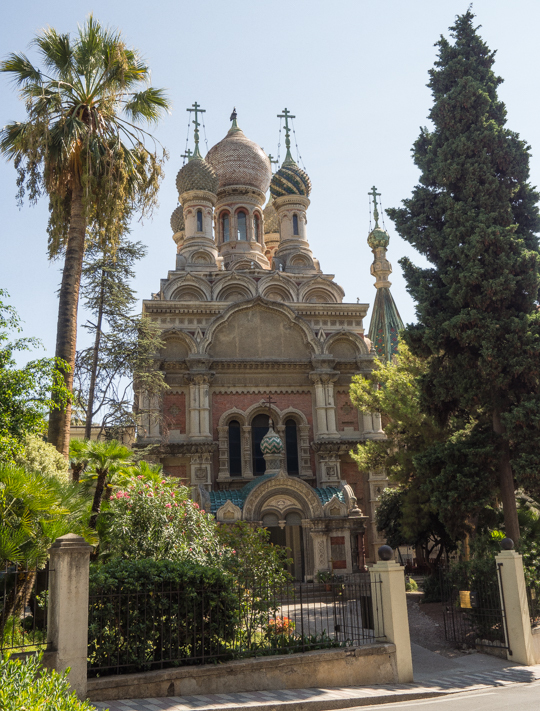 This itinerary for Corsica & Provence makes for a fantastic 2-week trip, but you could easily follow it as two 1-week trips, or even five weekend trips if you are starting from Paris or another city in Europe. You can see all my photos from this trip here, and the full trip itinerary on my Longer Trip Itineraries page.